White kitchen cabinets are a very affordable option for kitchen remodeling and renovations. Which is why they are a very popular choice. However, it’s easy to get stuck on designing the rest of the kitchen with all that white. We have over 20 years experience in the Kitchen Cabinetry business, manufacturing and have qualified designers who will work very closely with you in remodeling or renovating your kitchen into a sleek looking contemporary kitchen. Modern white kitchens are glossy, refined and typically minimalist. 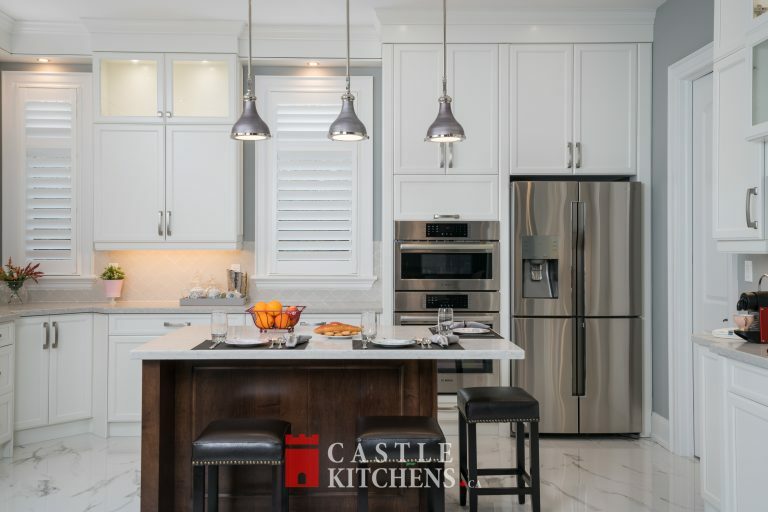 Modern White Kitchen Cabinets, Shaker Cabinets, and Black Cabinets are the latest trend in Kitchen Cabinetry and we at Castle Kitchens have on display these Units at our showroom in Markham. 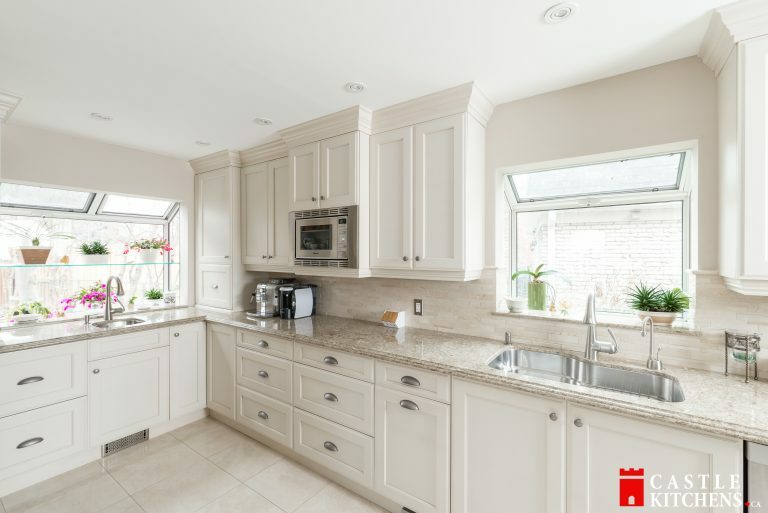 We have completed many kitchen remodeling projects in Toronto, Markham, Thornhill, Unionville, Stouffville, New Market, North York, Richmond hill, Unionville, And Mississauga. Price: Our White Kitchen Cabinets represent excellent quality and value for the money when you consider the workmanship and materials that go into making each cabinet. We produce top quality furniture at very competitive prices. 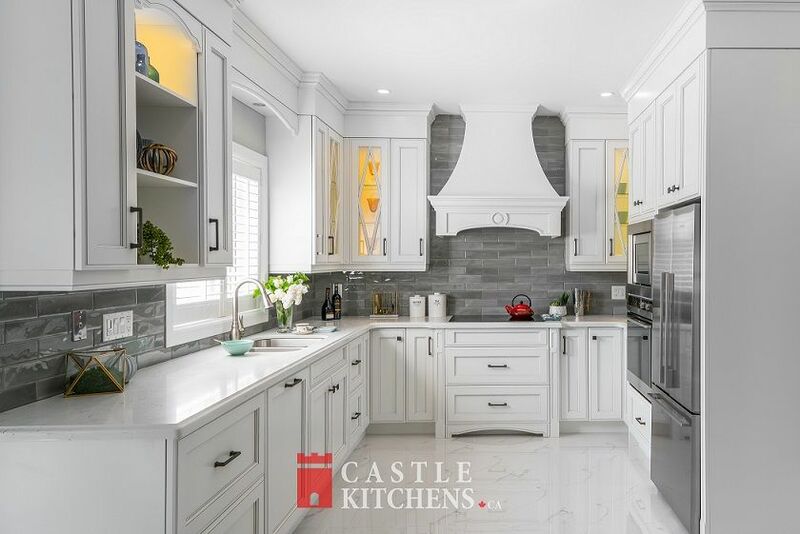 Design: We at castle kitchens take pride in transforming your dream of a ‘perfect kitchen’ into a totally stylish elegant and functional place. 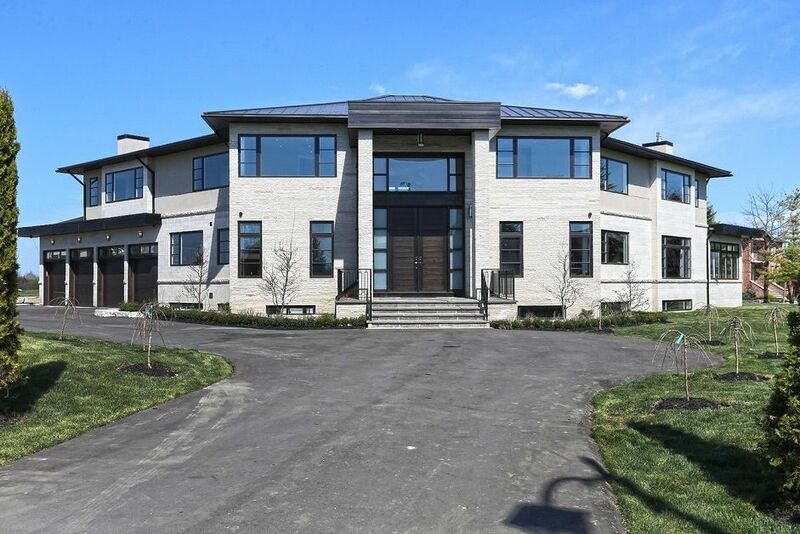 Our strength is the ability to combine creative design with functional solutions, while delivering quality products and materials that exceed the expectations of our clients. Free Measurements: We offer free measurement services by visiting your home and also offer computer drawings in 3D for you to visualize your new kitchen. Experience: We have more than 20 years experience in Design and Manufacturing and have qualified designers on hand to serve you. No matter what your budget is, we will work together with you in making your kitchen dreams a reality. 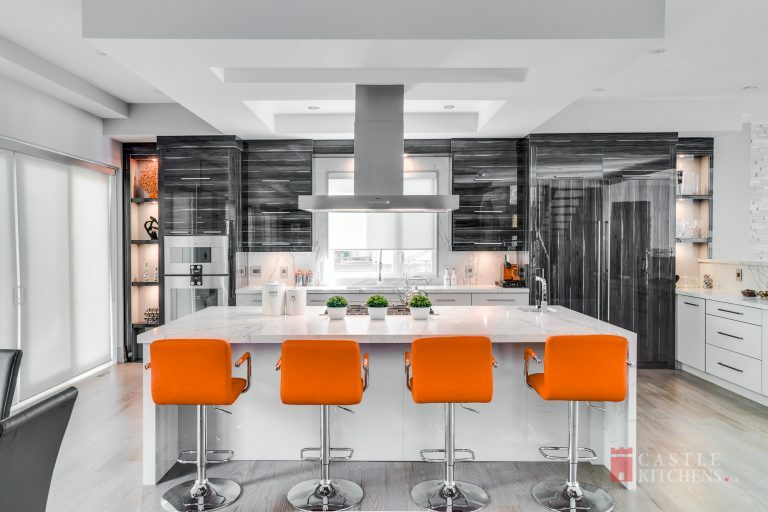 Showroom: : Our Kitchen Showroom is located in Markham, Ontario with Massive displays of kitchen cabinets. Our Showroom size is 20,000 Sq. Ft. with 400 door styles for you to see and imagine what your future kitchen can look like.